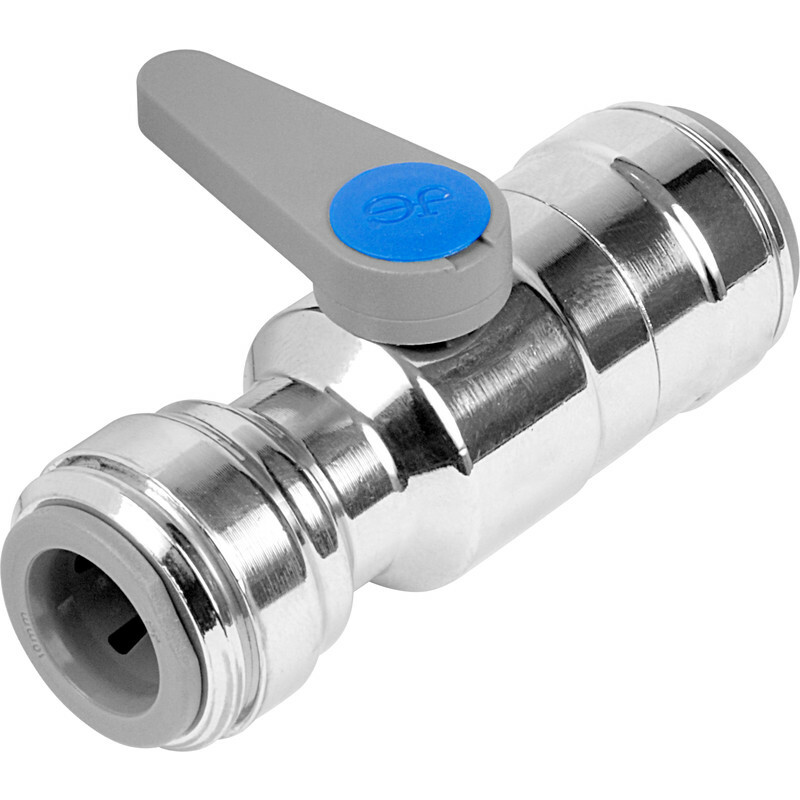 JG Speedfit Chrome Plated Brass Ball Valve 10mm is rated 5.0 out of 5 by 3. Rated 5 out of 5 by Novice Plumber from JG Speedfit Brass Ball Valve 10mm. I had a blocked C/Heating tube at a T piece 10mm going into 15mm. i cut the tube on the vertical leg, fitted the 10mm JG ball valve, the using a floristry wire, I inserted it through the valve and proded the hardened black sludge. It gushed out, blockage cleared, then shut of the JG ball valve. Fitted the new Lockshield to the rad and put the make up piece between ball valve and lockshield. JG ball valve absolutely brilliant.